Cannon Films were, judging from this extremely entertaining documentary, one of the most batsh*t crazy film studios ever operated. Bought by Israeli cousins Menahem Golan and Yoram Globus in 1979, the studio began a more-than-steady stream of B- (or even C-) picture output. The scripts were rushed, the production even more so, and Golan was notorious for his cut-and-paste, all-over-the-show editing practices, often interfering in post production to horrific effect. This doc gives us several interviews with those involved in the production of Cannon Films, and the wacky stories they have to tell about Menahem and his cousin are hilarious. It’s a run-through of the history of Cannon, and the many and varied films they released; perhaps most notably the Death Wish franchise starring Charles Bronson, Chuck Norris’ Delta Force and their ridiculous attempt at the Superman franchise with the fourth film – Quest for Peace. However, these are ultimately the tip of the iceberg, with attempts made at period pieces like an adap of Lady Chatterly’s Lover and actual quality auteur productions like Cassavetes’ Love Streams and Zeffirelli’s Otello. But then there are the musicals and comedies, like dance smash Breakin’ and Breakin’ 2: Electric Boogaloo. Each film from Cannon’s past dissected (although not all of them, as at one point they were producing dozens of films in an extremely short space of time – impossible to cover them all) have fantastic tales attached of Golan and Globus’ extravagance and manic management technique. It’s hard to think of a funnier documentary than this. 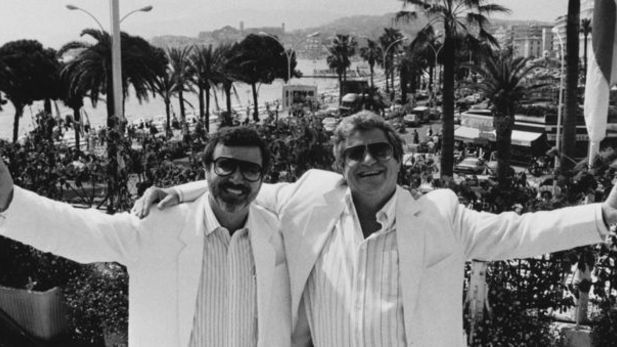 A brilliant image presented to us is footage of Golan hitting Cannes back in the day dressed head-to-toe in a Cannon Films shellsuit, peddling his movies to distributors without a single frame of said films being shot. The film ultimately concludes with the sad demise of Cannon, who funnelled millions of dollars into productions that never had a chance of making a return on their investment; this resulted in a sad split between Menahem and his cousin, the perhaps more-tempered member of the partnership. The one flaw of Electric Boogaloo perhaps also works in director Mark Hartley’s favour; Golan and Globus’ refusal to appear in the film gives their archived-footage presence within it a more legendary edge; they become grandiose, mythical figures. It can’t help but be felt that it would have been great to see some candid interviews with the pair, to get all the sides of the story and the decisions behind their reckless and absolute commercialisation of the studio system process. Yet all is not lost, as true to form, Golan and Globus released their own documentary about the rise and fall of Cannon Films a month before the release of Hartley’s effort; I’ll definitely be tracking it down after seeing Electric Boogaloo, and perhaps you will too.